In 2014, Victorinox added 8 new references to the Maverick Sport collection: four chronographs and four three-hand watches. 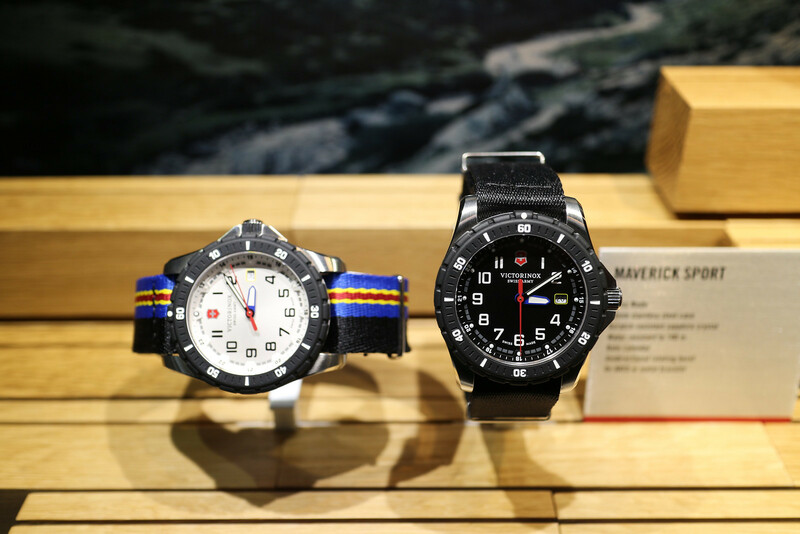 The dial of each watch is accented in the same red, blue and yellow shades used in the flag of Ibach, Switzerland — the town where Victorinox is headquartered. The same color scheme is also used on the complementary strap in NATO fabric that supplements the original black one. 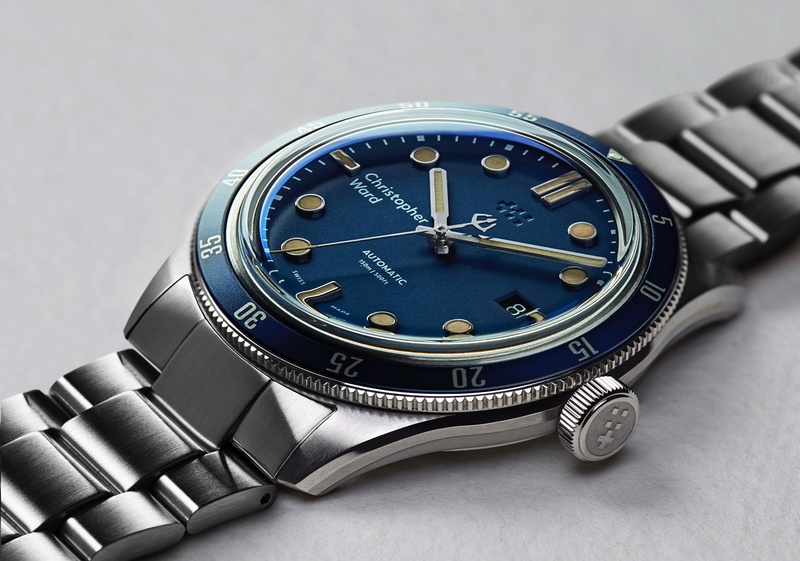 All models are presented in 43 mm diameter stainless steel cases, brushed on the top and side of the case body, and polished on the edges, crown, and pushers. A stainless steel guard protects the crown. The unidirectional rotating bezel is made of black nylon injected fiber and is marked with white luminous numbers indices. The dial for the three-hand and chronograph models comes in either black or white, with hours marked by Arabic numerals and indices, in contrasting white or black. Military time is displayed on the flange. 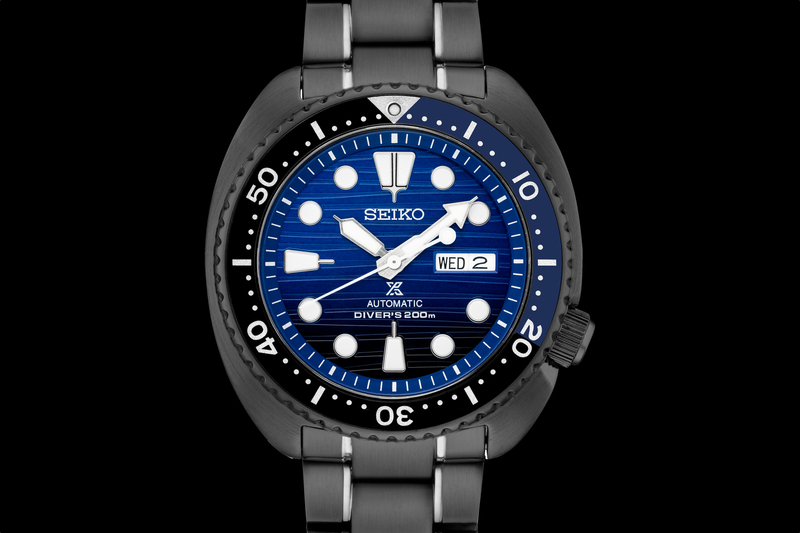 A blue hour hand, generously covered with white luminescent material, indicates the hour on all models. The minute hand is also covered in white luminescent paint. The second hand is red on the three-hand model. Three red hands on the chronograph model indicate the indicate elapsed chronograph seconds, minutes and hours. The date windows at 3 o’clock on the three-hand model, and at 6 o’clock on the chronograph, are both trimmed in yellow. 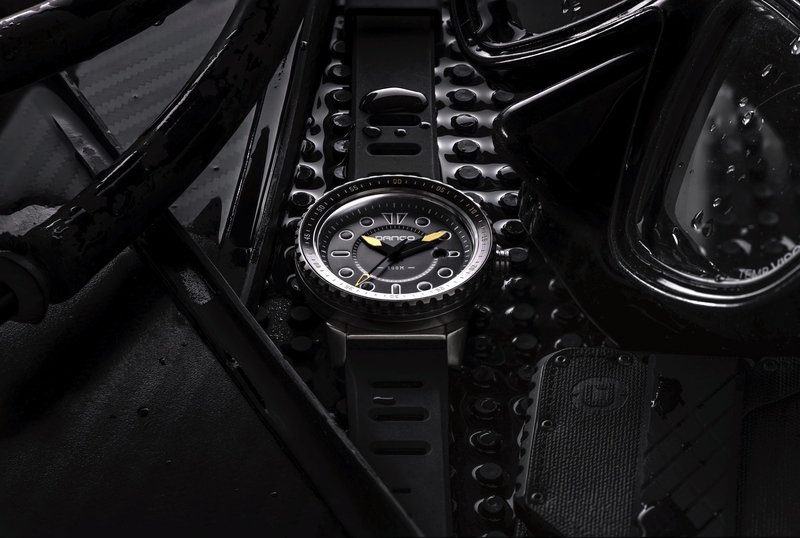 The Maverick Sport is powered by a Ronda 715 quartz for the three-hand watch, and Ronda 5030D for the chronograph. All versions come with a scratch-resistant sapphire crystal with a triple anti-reflective coating. The stainless steel case back is screwed-on. Water-resistance is 100 meters. The three-hand watches are $395 with two NATO straps (black and multi-colored) and $450 on a stainless steel bracelet. The chronograph models are $495 with two NATO straps (black and multi-colored) and $550 on stainless steel bracelet. The new Maverick Sport collection will be available Fall 2014.